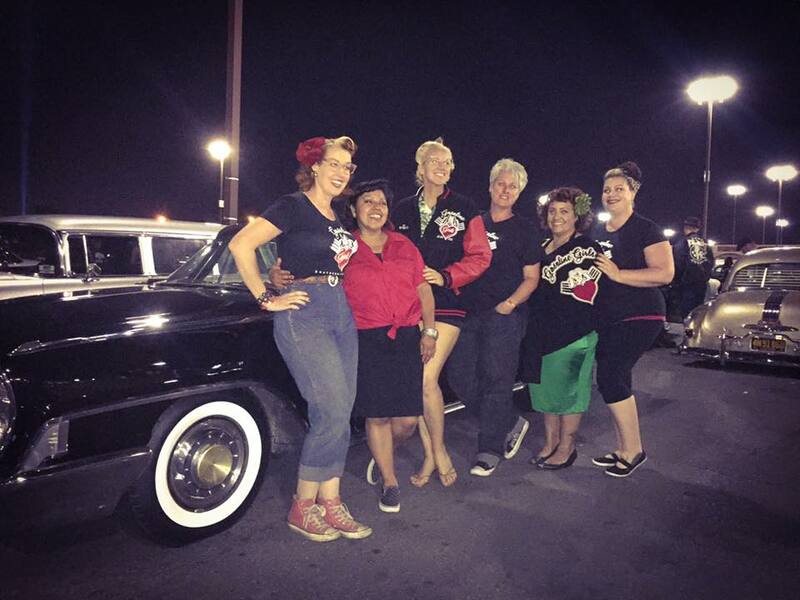 Gasoline Girls Car & Motor Club – Page 2 – All-female car club dedicated to learning & wrenching on our cars. Although carburetors may be viewed as a relic of the past, our classic cars all run on ’em. They can be an intimidating part of the car to fiddle with – with some small parts and fine adjustments going into making them run correctly. Since many of us needed to learn how to rebuild, as … More Crazy for Carburetors! 5 Comments Crazy for Carburetors! MAY 20, 2012 – May marks the second anniversary of the Gasoline Girls, and some significant growth. While there’ve been a few changes over the last year, one thing remains constant: a passion for our cars and for finding like-minded girls. For this anniversary, we proudly welcomed FIVE official members into the club–more than doubling … More Anniversary Growth Spurt! Leave a comment Anniversary Growth Spurt! What being a G-Girl is all about! APRIL 25, 2012 – By now, the core values of the Gasoline Girls are clear, right? (Thirst for knowledge and the desire to do the job herself… or at least try!) This past January, two new girls came to our meeting, Jennifer and Rochelle, who truly exemplify the foundations of what the Gasoline Girls are about… … More What being a G-Girl is all about! 8 Comments What being a G-Girl is all about! MARCH 18, 2012 – For years, the notion that women are likely to be ripped off in shops has been rampant. But really, it’s not just women, but rather, the unknowing in general who are at risk. At one time or another, we’ve all had issues with a repair shop. It’s why each Gasoline Girl … More When Bad Work Happens…. 4 Comments When Bad Work Happens….